At Folkers, we offer a wide range of home improvement services. From windows and doors to from-the-ground-up Florida rooms, from screen porches to hurricane-grade windows and shutters, we combine form and function with no compromise on the best quality. In each project we undertake, we pay a keen attention to detail. We also use the best-quality materials in our home improvement projects and consider unfailing excellent a part of our business philosophy. Following are the salient services offered by our highly experienced staff. When offering any of these services, you can ask us to do a realistic preliminary estimate by visiting the site. We offer a wide range of replacement windows. Our replacement windows are made using premium-grade materials and come installed with functional, elegant and cutting-edge features. We use Low ‘E’ glazing on our windows which helps you keep your indoors cool and block out the UV rays from the sun. The interlocking sashes and double weather-stripping on our windows makes them foolproof against air, dust, rain and blocks out much of the outdoor noise. You can customize the windows you order by determining exactly the features, colors, materials and styles you prefer. Most people hesitate when hiring someone to replace their doors during home improvement jobs. This is simply because most installers tend to botch it up. Here at Folkers, we have decades of experience in installing custom-measured and expertly installed doors. Our installers inspect each site and make exact measurements before embarking on the work. 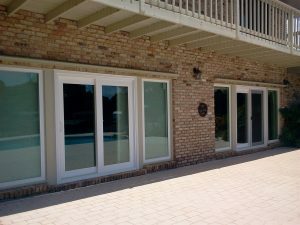 And we have a wide variety of double-pane, energy-efficient sliding glass doors which are specifically well-suited for the Gulf Coast environment. Impact-resistant windows are a great way to guard yourself and your property against natural calamities and intruders. 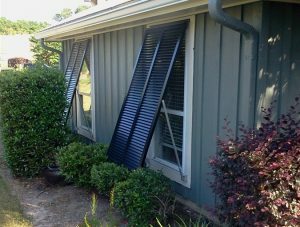 Such windows are highly recommended for Gulf Coast residents in Alabama and Florida. We offer a wide range and variety of specially laminated glass windows, which can withstand a great amount of impact without incurring any damage. 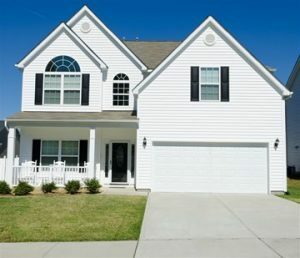 If you are looking to save energy costs of your home, vinyl and hardie board siding are a great option. Not only do they add an exceptionally beautiful look to your home, they are also incredibly durable and low-maintenance. You can choose from a wide range of colors and styles. We will install them with impeccable finishing so that your house looks awesome while keeping the indoors cozy and energy-efficient. If you live in the Gulf Coast area, you know that hurricane-induced storms can cause significant damage to a property. High-quality shutters, when installed right, can protect your home’s openings during such storms. Our hurricane shutters are able to withstand wind speeds as high as 160 mph which keeping your windows and doors safe from incurring any damage. Hurricane shutters installed by our professional installers have been able to withstand some of the fiercest storms in the Gulf Coast region over the past few years. Shutters that are well done add a certain grace and elegance to your home’s openings. The architecture and the overall outlook of a home directly determine which type of shutters will look best on the windows and doors. You can choose from our wide range of decorative shutters including traditional Bahamas shutters, colonial shutters, bi-fold shutters, rolling or accordion shutters. Each of our shutters is custom-designed and fitted exactly to the right size. Historic wood windows are a precious part of any home or building’s architecture. And so, they need an exceptional degree of expertise and craftsmanship during restoration or replacement. We have many decades of experience in restoring, rebuilding and replacing historic wood windows. 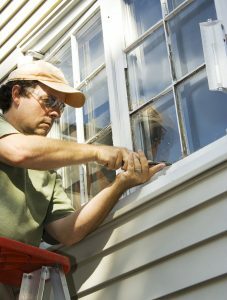 In our home improvement projects, we use as much of the original wood windows as possible when rebuilding them. And we preserve the overall outlook, feel and historic style of the windows. Our craftsmen are experts in the Old World style windows and diligently strive to retain the historical aspect of such windows. When rebuilding or replacing historic windows, we use top grade hardwoods while conforming to the highest standards of historical restoration. At the end of the day, we preserve as much of the historical aspect of such windows as possible and if needed, touch it up with the highest quality of craftsmanship. Blinds can enhance the aesthetic appeal of windows while at the same time, blocking out UV and keeping the indoors more energy-efficient. Whether you want decorative blinds, blinds that serve a more practical purpose like privacy and energy efficient, or a combination of both – Hunter Douglas blinds are the perfect home improvement feature. 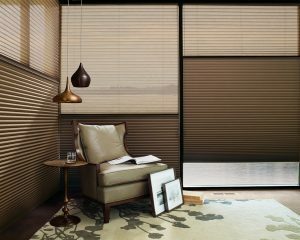 These blinds are custom built and specifically designed for each individual opening. With a vast array of elegant, stylish, practical blinds with stunning outlooks, the Hunter Douglas blinds are the perfect addition to your windows. 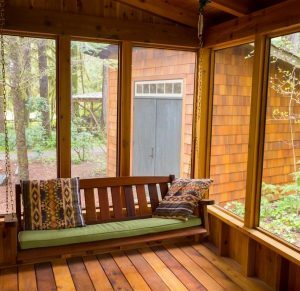 Sun rooms or patio enclosures are the perfect way to enjoy a quality outdoor time minus the bugs and the weather conditions of the outdoors. These rooms are done in screen porch style and we specialize in constructing custom patio enclosures complete with the exact features that you want. From hurricane-grade materials to pre-manufactured parts and from custom windows to indoor amenities like lighting, we offer a truly customized range of patio enclosures. You can ask us to build one from the ground up or to renovate an existing structure and turn it into a sunroom with features of your choice. Our licensed on-staff installers offer premium-quality installation services during every home improvement job. With extensive experience and expertise in the highest degree of craftsmanship, our installers treat each job as a work of art. And you will agree once they have completed the job. We also stand by each product we install and offer post-installation services for years to come. All of our installers and other craftsman are in-house staff, so we do not delegate any work to sub-contractors. At the end of the day, we simply love what we do and so, we do it in the best possible way.